Crumpled City maps are durable, waterproof, light, recyclable and fun to use maps conceived by Italian designer Emanuele Pizzolorusso. They are designed to replace big and clumsy standard paper maps, which are difficult to fold and make travelers look out-of-place while walking around new cities. Designed for Florence-based company Palomar, these maps are made from Tyvek, a non-woven Dupont white material that was developed back in 1955 and is frequently used for envelopes. 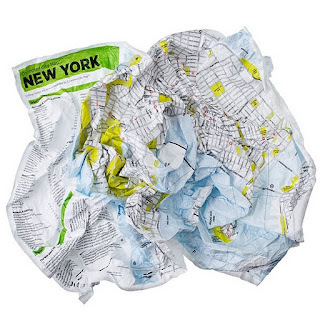 A graduate from the Politecnico di Milano, Pizzolorusso designed Crumpled City maps so they can easily crumple to fit into the palm of a hand, pocket or the same material case they come with. 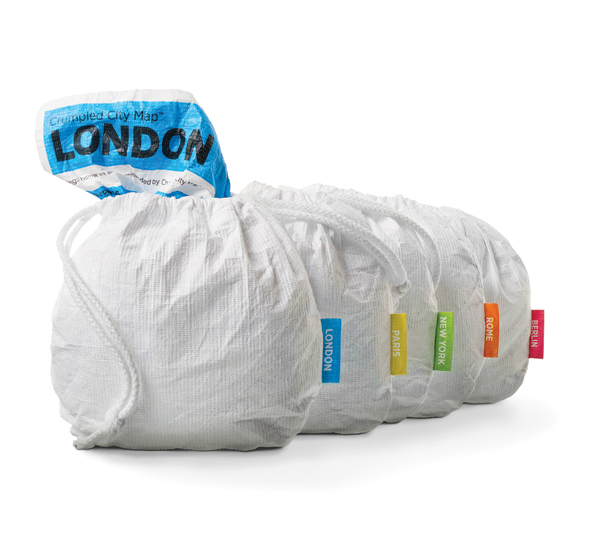 measuring 23×34 inches, they only weight around 20 grams, making them an excellent choice for backpackers. Best of all, they double as an umbrella if it starts raining! Palomar currently offers 23 maps of major cities including New York, London, Tokyo and Copenhagen – and there are even fun maps available for kids.